le chaudron de vulcain – October 02 , 2017. EN. Ambae , Fuego , Popocatepetl , Agung . October 02 , 2017. EN. Ambae , Fuego , Popocatepetl , Agung . Home / agung / October 02 , 2017. EN. Ambae , Fuego , Popocatepetl , Agung . Lava bombs in Vanuatu thrown ’50 to 100 metres’. 1 OCTOBER 2017. 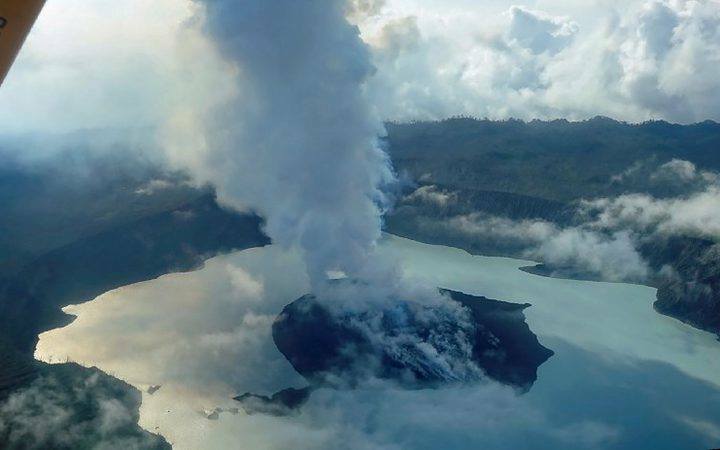 The Pacific nation’s government has ordered a mass evacuation of the island of Ambae, after about a week of escalating volcanic observations of Monaro Voui. A state of emergency was declared on 26 September. All 11,000 residents of Ambae – five percent of Vanuatu’s population – have been told to evacuate the island. Initially, islanders moved to shelters on Ambae but the government then ordered a mandatory island-wide evacuation. The volcanic alert at the crater is at level four and warnings include gas, acid rain and ash, and lava bombs. Access to clean drinking water has been compromised by the acidic ash fall. A flotilla of private boats, canoes, and commercial vessels will start to ferry thousands of people to other islands today. The evacuation is expected to take days. GNS Science volcanologist Brad Scott arrived in Vanuatu at the weekend in the capital Port Vila to provide expert assistance to the government. On Saturday, he was on an observation flight over Ambae. He said lava bombs were being thown up into the air every eight to 10 seconds. « Maybe about every 8 to 10 seconds there was an explosion, throwing lava bombs up maybe 50 to 100 metres above the crater and there’s also two small lava flows that are flowing across the island into the lake as well. » Mr Scott said he was going on another observation flight on Sunday morning. 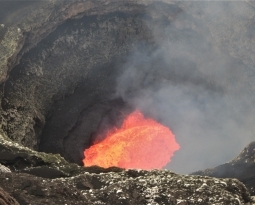 There are two other volcanoes active in Vanuatu at the moment, on the islands of Ambrym and Lopevi. Mr Scott said they were hoping to also assess them today. The operations manager of Vanuatu’s disaster management office, Peter Korisa, said more funding would probably be needed for the compulsory evacuation of the entire population of Ambae. 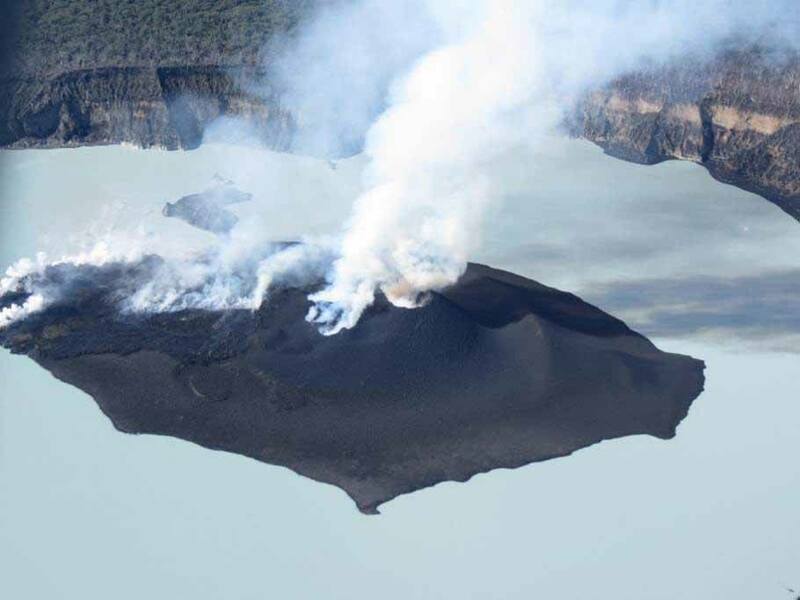 When the Manaro Voui volcano began belching ash last week the government committed US$2m to initial island evacuations, moving people living close to the volcano and those affected by the ash fall from its eruption to evacuation centres on the eastern and western sides of the island. He said the logistics of getting people off the island were not straightforward. « It’s not as easy as rolling out boats and all that. There’s reefs and limited boats can get in and evacuate people. » The head of the island’s provincial government, Georgewin Garae, has said everyone on the western side of Ambae would go to the country’s biggest island, Santo, mostly around the town of Luganville. People on the east would be split between other islands. Maewo had agreed to take 1125 evacuees, Pentecost would take more than 1000, while Malekula would take several hundred. 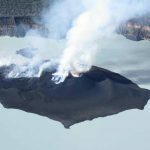 New observations and data analysis by scientists from the Geohazards division of the Vanuatu Meteorology and Geo-hazard Department (VMGD) suggests that the volcano seems to have settled in a more stable state of activity. According to the the VMGD, photographs and thermal infrared images taken during observation flights on Saturday, 30the of September and Sunday, October 1, 2017 show that the activity at the volcano is firmly restricted to the crater area. The activity consists of explosions and ejection of hot rocks similar to that at Yasur on Tanna. Small lava flows were also observed near the small craters, and into the lake. 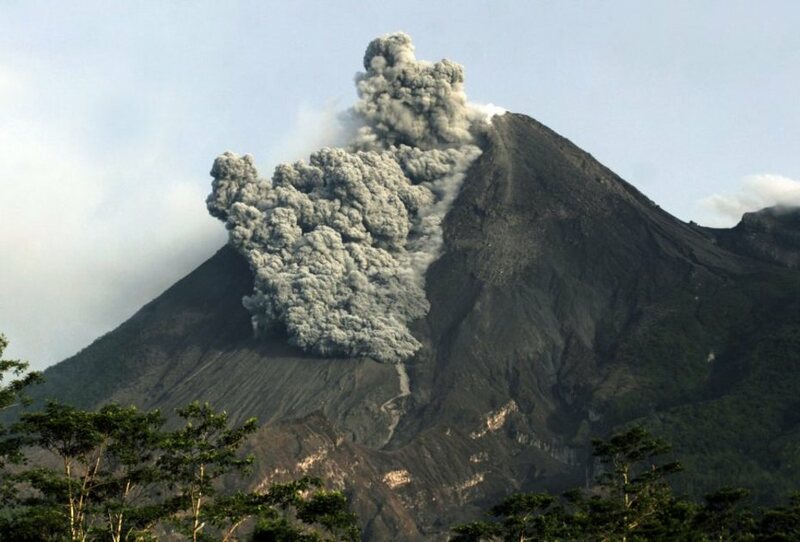 Because the activity is more settled and focused in the summit area, the possibility of a large eruption affecting the whole island is now looking less likely. Scientists from VMGD will keep monitoring closely the activity, both remotely from Port Vila, thanks to a network of instruments on Ambae, and on the island as needed. The VMGD will continue to provide updates to the public and government as the situation evolves. Photo : Thomas Boyer , MIROVA (1 OCTOBER 2017) , VMGD. 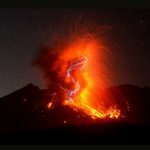 The volcanic observatory of the Fuego volcano OVFGO2 and the seismic station FG3 record the descent of lahars moderated by the Seca ravine (Santa Teresa) and the El Mineral canyon, tributaries of the Pantaleón river. 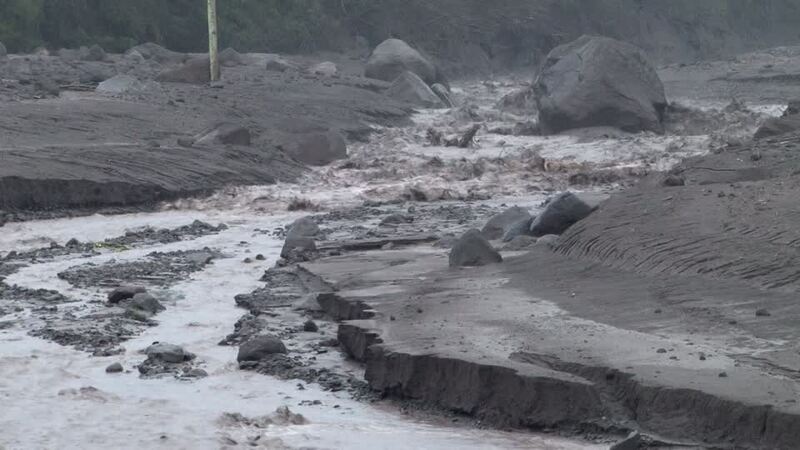 The constant activity maintained by the Fuego volcano in recent months has generated deposits of volcanic matter in the ravines of the southwest flank and due to the accumulation of moisture and constant rainfall in the volcanic zone , we observe the descent of these lahars. These lahars carry fine volcanic materials, blocks of about 1.5 meters in diameter, trunks and branches, and on their way, raise steam columns and are 6 meters wide. They can damage access roads between San Pedro Yepocaya and Sangre de Cristo and between Finca Palo Verde and El Porvenir, among others. It is necessary to take precautions and not to stay in the ravines. Over the past 24 hours, 32 seismic monitoring systems of the Popocatépetl volcano have identified 32 low-intensity exhalations. In addition, there were six VT events, which occurred yesterday at 4:45 pm, 5:18 pm, 5:28 pm, 5:43 pm, 7:33 pm and 8:44 pm, with sizes from M 2.1 to M 1.5. 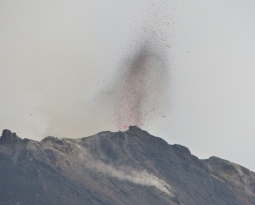 At night, at 22h57, there was an explosion which produced the emission of incandescent fragments which fell on the slopes of the volcano at a distance of no more than 0.8 km from the crater, an eruptive column greater than 2 km in height with moderate ash content, which was dispersed northwest and later southeast. 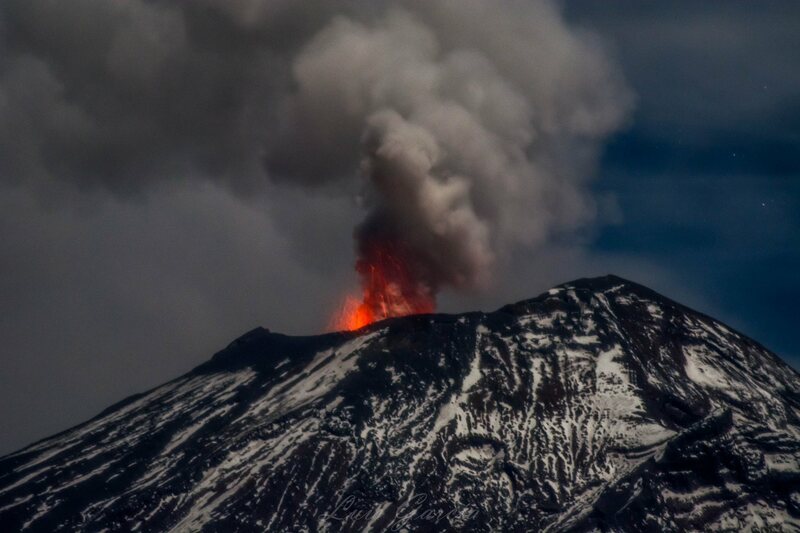 This activity is within the normal volcanic parameters considered for the yellow Phase 2 alert level, so preventive evacuation is not required. The activity presented by the volcano is not directly related to the earthquake of magnitude M7.1, recorded on 19 September with an epicenter in the state of Puebla. 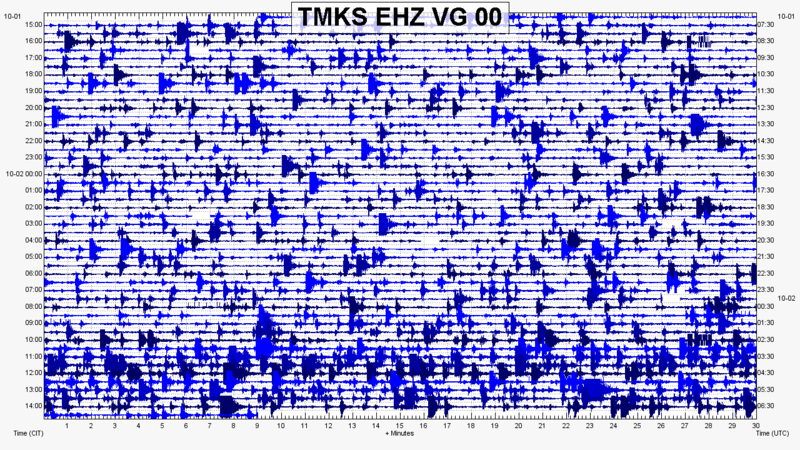 Since last night and up to the time of this report, there has been no visibility on the volcano due to cloud conditions, but seismic tracking indicates that so far the volcano remains at a low level, activity. 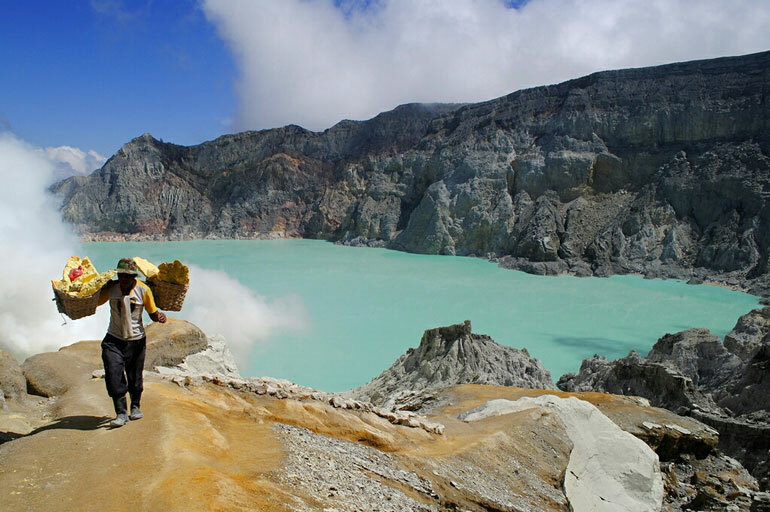 G. Agung is administratively located in the Karangasem Regency, Bali Province, at the coordinates of Longitude 115.5080 and Latitude 8.3420, a maximum height of 3142 meters above sea level. During September 2017, the G. Agung saw an increase in activity levels from 14 September 2017 to Level II (WASPADA). 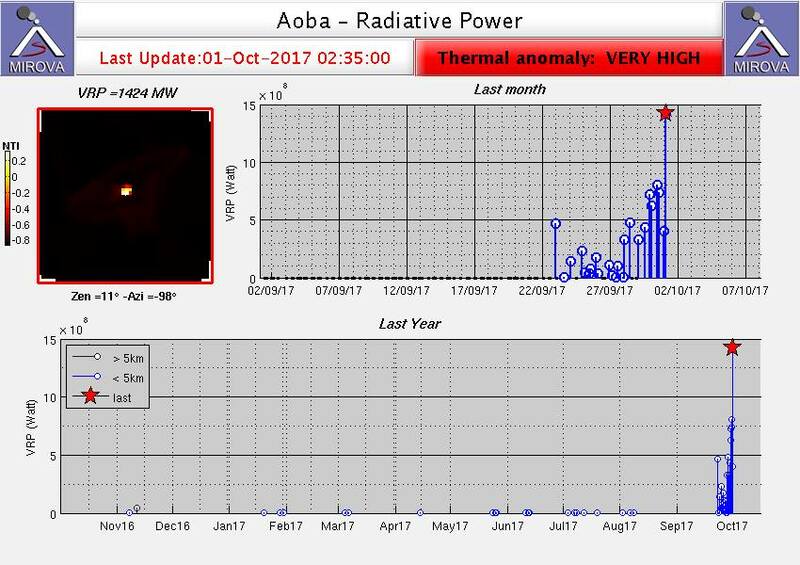 Volcanic activity increased further, and on September 18, 2017 it moved to level III (SIAGA). Volcanic earthquakes still significantly increasing, and then on September 22, 2017 at 20:30 WITA, it moved to level IV (AWAS). Visual: Visibility of the Agung volcano in September 2017 is generally sunny / rainy, with maximum rainfall of 54.9 mm, from low to medium wind, from the east and north. The air temperature is about 18 to 31 ° C. Humidity 92%. Air pressure 84 mmHg. The volcano was clearly visible until it was covered with fog. The main fumes of the crater rise to a maximum height of 200 meters from the top of the peak, their pressure is low to medium, white to gray and low to moderate intensity. Level of activity: Based on the visual and seismic data of September 2017, Agung’s level of activity is still at level IV (AWAS). This month, there were no casualties. 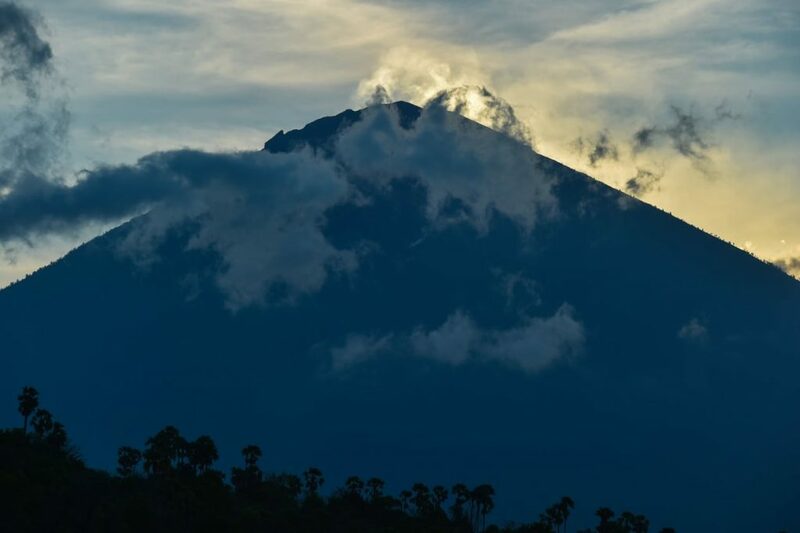 Communities around G. Agung and climbers / visitors / tourists must not be on the volcano, climb or do any activity in the Dangerous Area of ​​the G. Agung Crater and any the areas within a 9 km radius of G. Agung. A sector expansion was added to the North-North-East, South and Southwest for 12 km. Estimated hazard areas are dynamic and are continually evaluated and can be modified at any time following recent G. Agung observation data. 02/10/2017. FR. Ambae , Fuego , Popocatepetl , Agung .